A. 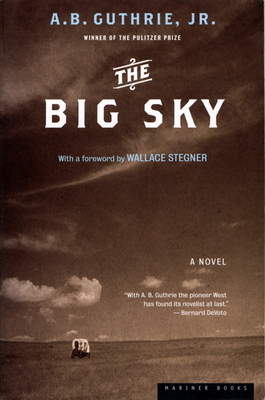 B. Guthrie, Jr. (1901–1991), was the author of numerous books, including six Big Sky novels, as well as the Academy Award–winning screenplay for the classic film Shane. He received the 1950 Pulitzer Prize for his novel The Way West. Guthrie was honored for his contribution to literature and his portrayal of the American West.